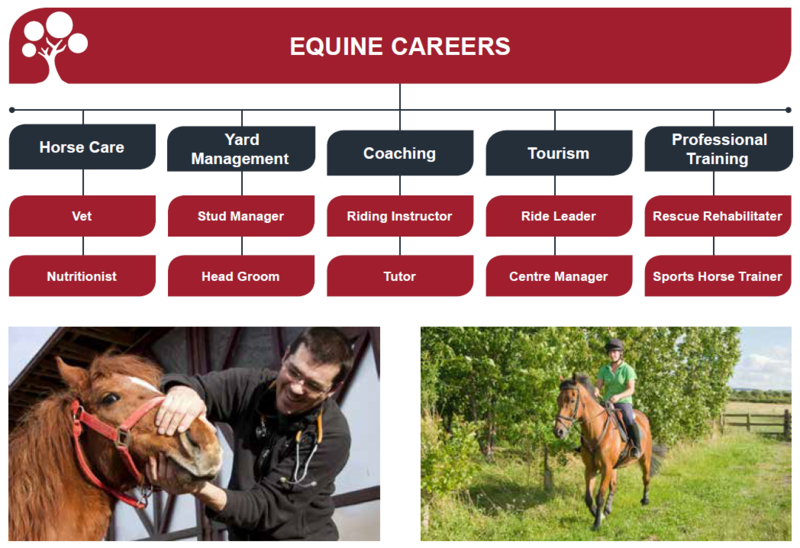 The equine industry is one of the most dynamic and diverse within the land-based and environmental sector. It provides a wide range of employment opportunities across Scotland, from riding schools, competition and racehorse yards, to professional horse training, the armed forces and mounted police. Laura has been doing the Equido Level 3 Instructor course, while working as a horse care technician for Ross Dhu Equestrian Ltd.
Viv completed her BHS stages 1–3 qualifications part-time before making the move to working with horses full-time in a livery yard.